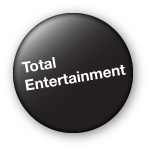 All featured image(s) copyrights reserved to MIC Buzz Limited image provider(s) and image owners. Simply put, there would be no ‘Salsa Music’ without Cuba’s original created music forms of ‘Rumba’, ‘Mambo’ and ‘Son’ (the basis of worldwide ‘Salsa Music’) these are all original types of music forms created in the Caribbean island of Cuba, also the ‘Cha Cha Cha’ original music form was created by Cuban musicians. 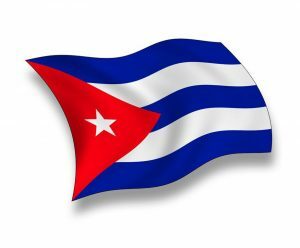 It is sad and unfortunate that during and for ‘Over 50 years’ of the USA Embargo of Cuba, Cuban musicians and its peoples lost out on receiving the full recognition and greatly lost out on the financial rewards plus the copyrights royalties of their creation of the Cuban original music forms. This loss cannot be underestimated. However this loss cannot be laid at the feet of Puerto Rico, Dominican Republic, Latin America or many other parts of the music loving world, or those individuals who love the music, the main ‘Cause’ and ‘Effect’ was enabled due to the USA Embargo supported by other countries. It is true that the USA Embargo of Cuba ‘Caused’ the isolation and financial squeeze of Cuba, this meant the ‘Effect’ was the loss of access to the rest of the world, this also had a devastating affect for the Cuban musicians, bands, plus live and recorded performances. 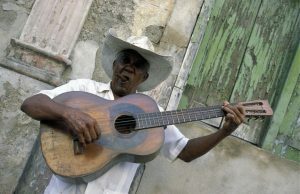 During the USA Embargo of Cuba, the loss of Cuban musicians because of the USA Embargo restrictions, created a huge Cuban musicians and performances ‘Void’, this music void was filled up by other musicians from Porto Rico, New York Barrios, than later Latin American and other world countries communities, based upon various countries and cultural ‘minor’ variations of Cuba’s created music forms, which was than sold around the world under the heading ‘Salsa Music’. Everyone proceeded with using non-cuban musicians to sell and perform ‘Salsa Music’, while fully knowing that it was Cuba’s musicians who originally created these music forms, the very music forms that are the ‘Daddy and Mommy’ of ‘Salsa Music’. Yes undoubtedly there were many unscrupulous individuals, producers, record companies and organisations all around the world who exploited the USA Embargo of Cuba’s legal and commercial suspension within the USA, including the copyrights suspension ‘Void’, because there was simply no active legal framework for Cuba’s music copyrights to be defended and upheld by Cuba and Cuban musicians during and under the USA Embargo ‘Terms & Conditions’, because the USA Embargo suspended all legalities, rights and legal status of Cuba within the USA and the same of any transactions or commerce with USA trading partners with regards to Cuba. However important as this is, this is not the key and most essential point. The key and most ‘Essential’ point! 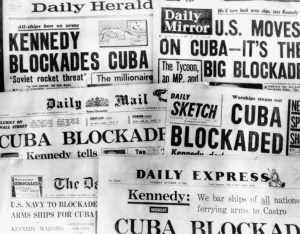 The key most essential point and central to everything, is that nothing could have been done during the USA Embargo by anyone or any one country to change the USA Embargo against Cuba. Even ‘The United Nations’ was not able to lift the USA Embargo against Cuba, therefore this was not the fault of musicians or members of the public from Puerto Rico, Dominican Republic, Latin America and many other parts of the world, who all loved the music, performed ‘minor’ variations of it, sold it directly and purchased it directly, under the heading ‘Salsa Music’. 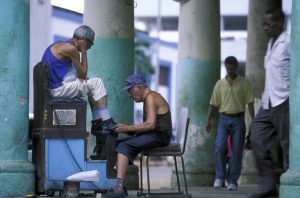 Cuba’s musicians and peoples financial loss, was Puerto Rico’s, Dominican Republic’s, Latin American’s, plus the rest of the world’s musicians and peoples financial gain, for over 50 years. It is also true that the Puerto Rican, Dominican Republic, Latin America and the rest of the world’s musicians, peoples and countries enjoyed the financial rewards of the popularity of ‘Salsa Music’ around the world. This financial reward also would normally have been received by Cuba’s musicians (who created the original music forms) plus the Cuban peoples and Cuba. Instead Cuba’s musicians and peoples endured the financial loss and hardships of the USA embargo, while watching many other parts of the world sell, perform and purchase it’s music under the heading ‘Salsa Music’, no matter what musician played it and/or what country they came from. This was a musical ‘Raw Deal” for the Cuban musicians and the Cuban people, this is simply a clear recognition of the facts. However this was the effect of the USA embargo and not the fault of Puerto Rican, Dominican Republic, Latin America and the rest of the world’s musicians, peoples and countries, who loved and played the music with their slight interpretations of the Cuban original created music forms under the heading ‘Salsa Music’. 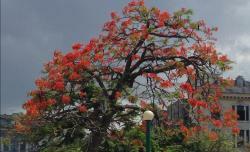 Many Cubans see the above as a musical and moral injustice, which has outraged many Cuban musicians and Cuban peoples throughout the world (Whether Cuban exiles or not). 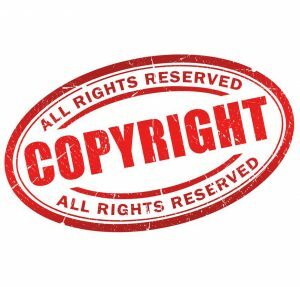 However, there was simply no active legal framework for Cuba’s original music forms copyrights under and during the USA Embargo ‘Terms & Conditions’, because the USA Embargo suspended all legal ties, rights and legal status of Cuba within the USA and the same of any transactions or commerce with Cuba. 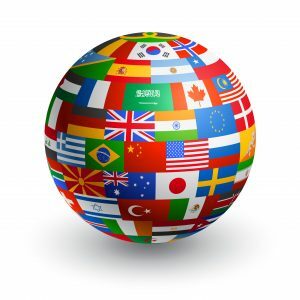 The Irony is, New York’s, Puerto Rico’s, Latin America’s and other parts of the world’s love of the Cuban original music forms, allowed and fuelled the world wide spread of ‘Salsa Music’ (based on Cuban original created music forms) during the USA embargo. While Cuba or Cuba’s musicians were not allowed to sell or perform their music under the USA embargo, many other parts of the world’s musicians sold Cuba’s created music forms under the heading ‘Salsa Music’. 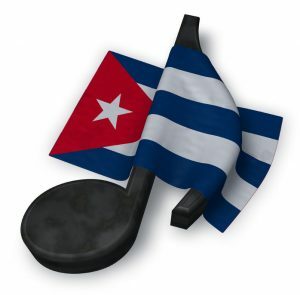 Ironically despite the USA embargo, in New York, Puerto Rico, Dominican Republic, Latin America and the many other parts of the world, the love of the Cuban original music forms became extremely popular and sold under the heading of ‘Salsa Music’, this was one of the ‘Major’ reasons that enabled the expansion of ‘Salsa Music’ throughout the world, despite the USA Embargo restrictions of Cuba. 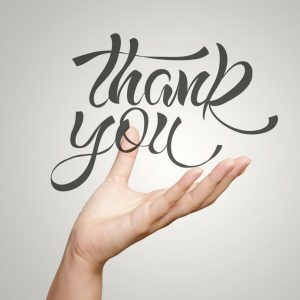 We all should be grateful that New York, Puerto Rico, Dominican Republic, Latin America and the many other parts of the world maintained and enabled the expansion of Cuba’s original created music forms under the heading of ‘Salsa Music’ throughout the world, despite the USA embargo restrictions of Cuba. While Cuba’s musicians were not allowed to perform and sell their music, New York, Puerto Rico, Dominican Republic, Latin America and the many other parts of the world’s musicians did and we all should be thankful and grateful for this, even though this was a musical ‘Raw Deal” for the Cuban musicians and the Cuban people. Many people around the world during the 50 plus years of the USA Embargo of Cuba, would not have been introduced to the original Cuban Music if they had not started with general ‘Salsa Music’ (the minor variations of Cuba’s original created music forms). It should be fully understood the irony of the Cuban original music forms being taken up under the heading ‘Salsa Music’ through the musicians and communities of Porto Rico, New York Barrios, Dominican Republic, Latin American and many other parts of the world, who filled the music void that was left by the loss of `Cuban musicians due to the USA embargo, this is what has also fuelled the spread of ‘Salsa Music’ and use of the term ‘Salsa Music’. 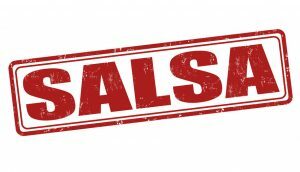 Now that we are in the era of information and technology, the Cuban music forms of ‘Son’, ‘Rumba’ and Mambo’ can be recognised as the Daddy and Mommy of ‘Salsa Music’. 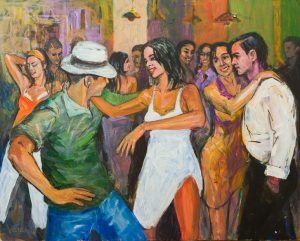 It may be played and danced to slightly differently around the world, depending on what country, town or village you are from, or even what some prefer to listen and dance to, but we all should recognise and always remember that the Cuban music forms are the ‘Daddy and Mommy of ‘Salsa Music’ throughout the world. * Yes Cuba, Cuban musicians, dancers and the Cuban peoples in general, lost out financially for over 50 years throughout the duration of the USA Embargo of Cuba. * Yes the world has lost out on seeing some of the greatest musicians of that time and some that were never discovered or allowed to show their talents, which is the equivalent of the world losing such artists like Count Basie, Nat King Cole, Louis Armstrong, Cole Porter, Ella Fitzgerald, Elvis Presley, Frank Sinatra, Miles Davis, Bing Crosby, just to name a few. * Just imagine if these American artists were actually Cuban and living in Cuba, or they were still to be discovered as artists living in Cuba during the USA Embargo? * It makes you think what was lost to the world from the rich undiscovered Cuban pool of talent and culture, throughout the 50 plus years of the USA Embargo of Cuba? We all should recognise and always remember that the Cuban original music forms of ‘Rumba’, ‘Mambo’ and ‘Son’ are the ‘Daddy and Mommy’ of ‘Salsa Music’ throughout the world. Yes Cuba and Cuban musicians and the Cuban peoples in general lost out financially for over 50 years of the duration of the USA Embargo, ‘but’ this is not the fault of Puerto Rico, Dominican Republic, Latin America, and many other parts of the world, or world salsa or world music, it is the effect, impact and natural consequence of the USA Embargo whether intended or not. Let’s all be happy to recognise Cuba’s original music forms contributions and at the same time also give recognition to Puerto Rico, Dominican Republic, Latin America and many other parts of the world for keeping the Cuban original created music forms going under the heading ‘Salsa Music’, fuelling it and expanding it into many parts of the world, despite the USA Embargo, in whatever forms. We now have the choice to listen to Cuban original created music forms, whether directly, or as the underpinning of ‘Salsa Music’. So lets all move forward and get along loving the music that is based on the Cuban original created music forms, which we all know and the world has finally recognised are the ‘Daddy and Mommy’ of ‘Salsa Music’. * Cuban Music Is Caribbean Music, Not Latin Music. I’ve been browsing online more than 3 hours as of late, yet I by no means discovered any attention-grabbing article like yours. It’s lovely price sufficient for me. 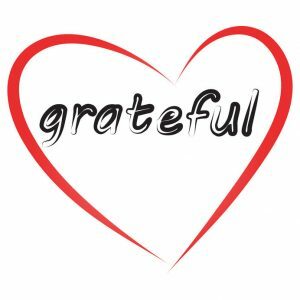 In my opinion, if all website owners and bloggers made excellent content material as you did, the internet shall be a lot more useful than ever before.